SOLD- Family and friends "Second Line" through French Quarter, celebrating with the bride and groom on their wedding day. 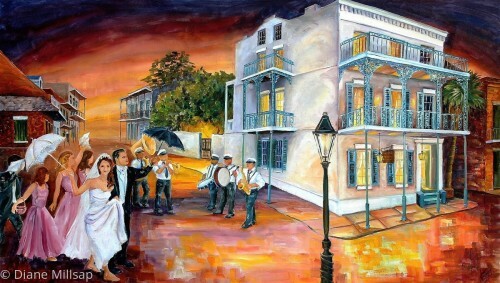 Please contact me if you are interested in commissioning a painting of that special day in New Orleans. SOLD - A picturesque setting to remember! 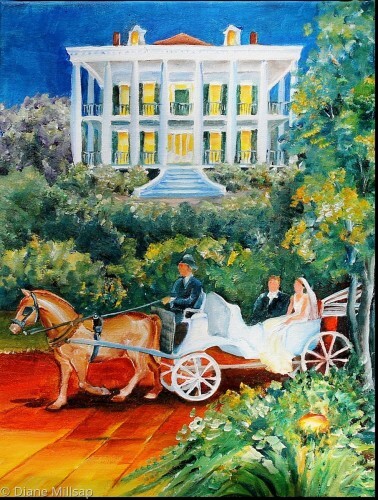 The bride and groom make their way to a plantation reception in a charming white carriage. SOLD- The brass band plays, the attendants dance, and the barefoot bride glances at us. 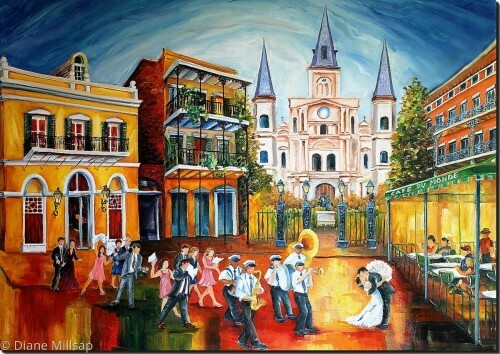 Please contact me, for more information about ordering a Nola wedding painting.